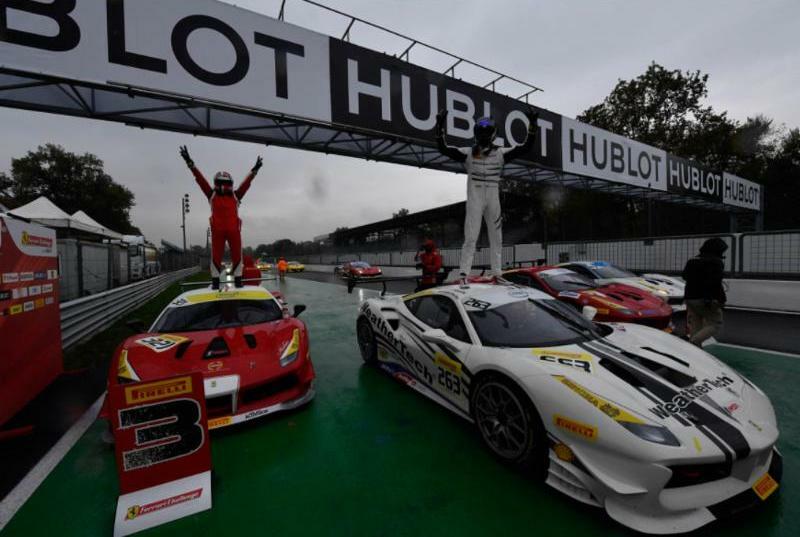 MONZA, Italy (November 4, 2018) – Continuing an incredible 2018 Ferrari Challenge season that saw Scuderia Corsa in contention for multiple titles, this weekend’s season-ending Finali Mondiali would see the team lock down both the Trofeo Pirelli, Coppa Shell and Team North American titles, as well as nearly taking the World Crown in today’s Coppa Shell race. 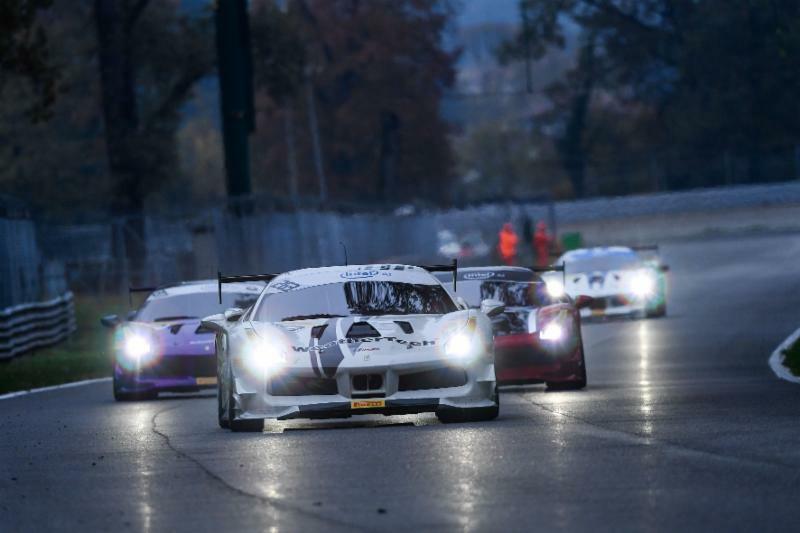 Closing out the 2018 season at the historic Autodromo Nazionale Monza, an intense weekend of racing and celebration of Ferrari heritage was enjoyed by all. 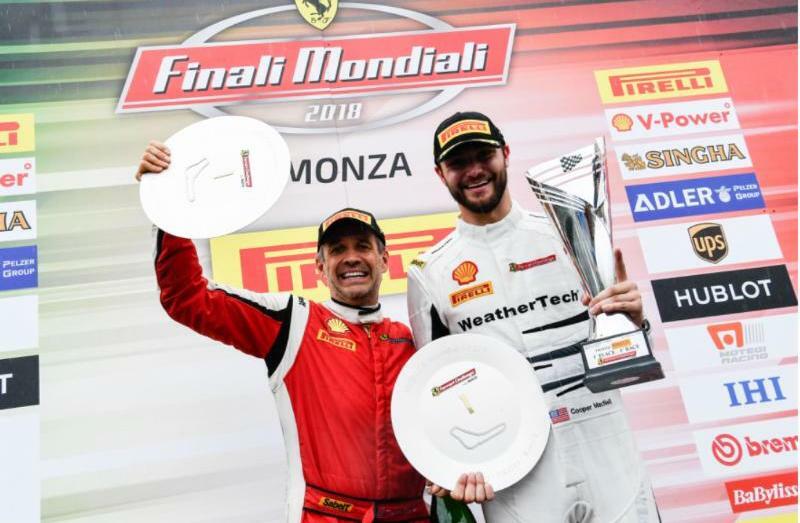 In the premier Trofeo Pirelli category, Scuderia Corsa driver Cooper MacNeil came in to the weekend with a commanding lead in points, earning pole position for Saturday’s race followed by both a race victory and the North American title at the same time. 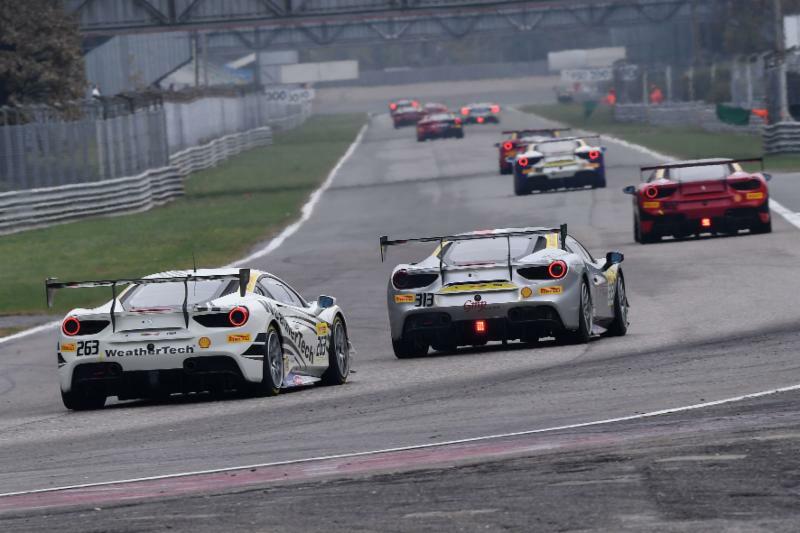 In today’s race, at the drop of the green, MacNeil and Scuderia Corsa’s Angie King were victims of a competitor’s overly-optimistic move and taken out at the starting line, forcing retirement. 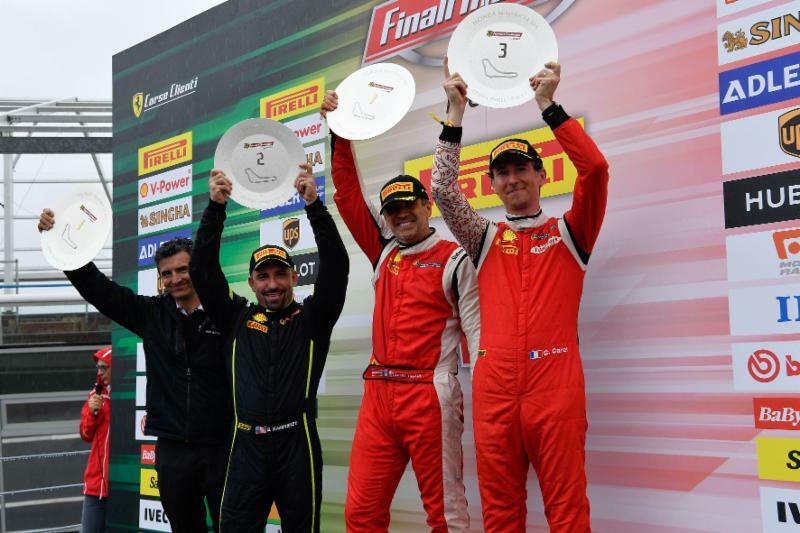 This would close one of the team’s most successful seasons to date, earning not only three North America Titles and one Worldwide second place, but 25 victories, 52 podiums, 19 podiums, and a combined total of 24 awards for Coppa Team and Ladies’ Cup. 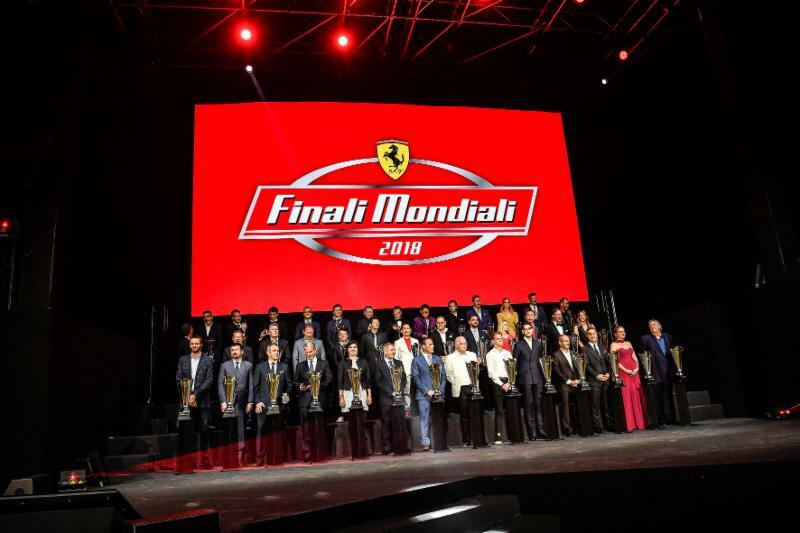 For Giacomo Mattioli, Finali Mondiali is an ideal demonstration of Ferrari team’s strength and depth. 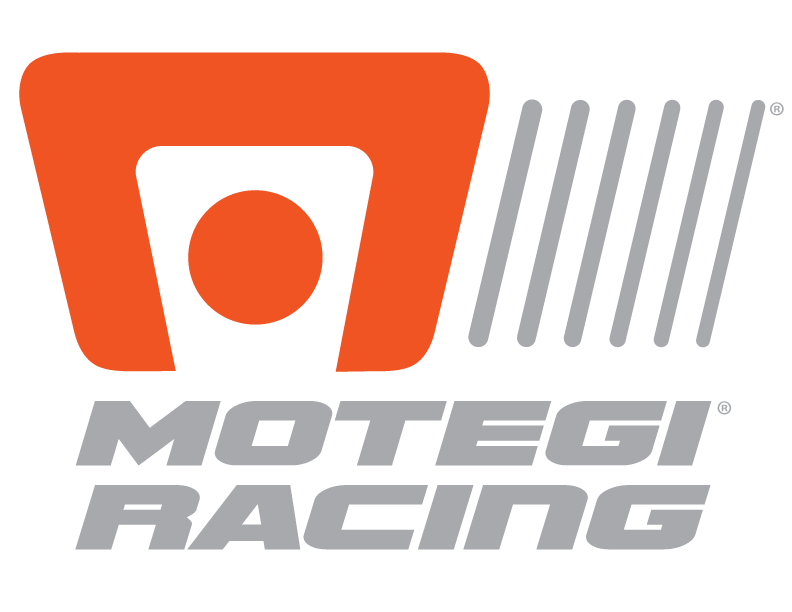 With the 2018 racing season at an official close, the team is already hard at work with 2019 planning for Scuderia Corsa’s efforts in Ferrari Challenge, IMSA, and IndyCar competition.